Harvey Hall renovations were finalized for the historic academic building on Oct. 11. However, there have been noticeable issues with the renovation process. Where are the cranes? Where are the construction workers? Where is the fence blocking the entrance to the structure? Although there are many questions, there seems to be only one answer: renovation has been delayed an entire semester. The reason for the delay is because the state bidding process for a contractor has not been finalized. The renovation schedule is still uncertain, but it is possible construction will begin in May or June. There is a significant amount of external work that has first priority, but because of weather conditions, there was cause for concern for the building committee even though they completed their paper work in time for construction to begin now. “Our priority is to get the building completed,” said Alm. Although Harvey rests unoccupied by construction gear and workers, it’s not possible to resume classes in the hall because the majority of the academic equipment and seating has been removed or transferred to JTC. So the hall quietly lies hollow without a trace of human presence, not even footsteps in the snowy entrances. The main issue that lies with renovation delay is the walking commute for both students and faculty. It takes nearly 20 minutes to walk from north campus to the Applied Arts building, and with some class breaks only ten minutes apart, this makes it difficult for students to travel effectively, especially in the winter months. Making the commute from North to South campus multiple times a day has proven exhausting. However, Alm says the new Harvey Hall will be worth the wait. “It will feel so welcoming and have historical character, but you’ll walk in the labs and they’ll be modern and state-of-the-art,” she said. The restoration will include larger classrooms and more of them, designated study areas, quiet tutoring rooms, usability and language labs as well as a café area where students can relax and enjoy a cup of coffee during their breaks. The external part of the building will be cleaned and given replacement windows to open up the internal hallways and allow natural sunlight to brighten them. Although some historical aspects may stay the same, the renovation will make the building more inviting to students and make their education more manageable and enjoyable. “It’s a project worth waiting for,” said Alm. 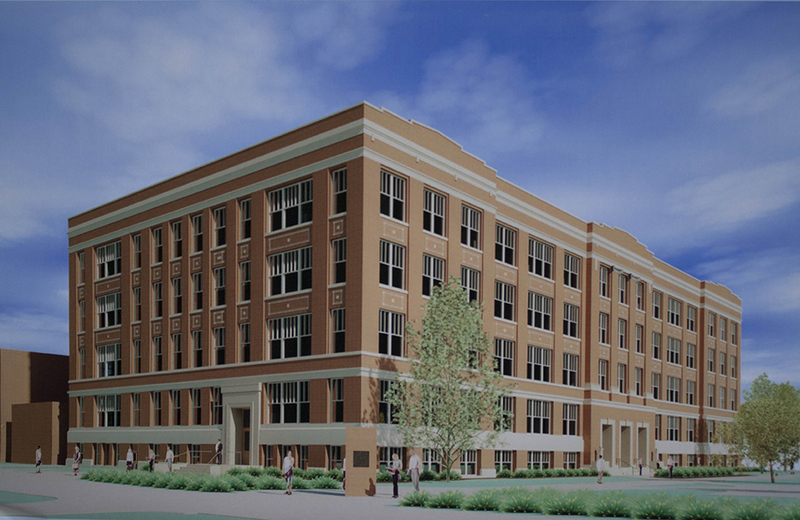 Stay tuned for more announcements relating to the renovation process of Harvey Hall.